Inclusive growth is now perhaps the strongest buzzword in development discourse. We have all been talking about growth without understanding that development interventions will not be effectual if they don’t benefit all sections of society. The illusion of trickle-down and ripple-effects of growth had kept us on the wrong track for quite long. Development programmes have delivered good outcomes for some segments of society, but sadly only marginal or zero sum for others. It is this realisation that has prompted policy-makers to draft strategies that can deliver outcomes that benefit everyone. An important new learning is that health or healthcare is a key component of inclusive growth. It is an important piece in the development ecosystem, in independent India too inclusive health was identified as a hallmark of the country’s policy architecture. As the Organization for Economic Co-operation and Development (OECD) puts it: “Adults in good health are more productive; children in good health do better at school. This strengthens economic performance, and also makes economic growth more sustainable and inclusive”. In fact it is much less expensive to produce healthy children than to keep repairing ill born ones. Healthcare has now become a critical leverage point where Government action could have the maximum impact. The Government’s development wisdom is now focused on identifying the strategic leverage points where successful action could trigger many supportive reactions rather than fixing everything everywhere. This year marks the 40th anniversary of an important signpost in the world’s history of healthcare. At a conference on October 25–26 in Almaty, Kazakhstan, the Alma Ata Declaration was adopted by the World Health Organization (WHO) with a pledge to focus on primary healthcare. The vision was to bring healthcare closer to people, by creating a network of rural dispensaries. Since then, there have been continuous efforts for establishing strong primary care systems in local communities in a bid to achieve universal healthcare (UHC). The results have not been uniform on account of several policy deficiencies. The pursuit of ‘vertical’ programmes (targeting a single disease) has resulted in health services functioning in silos, in an uncoordinated manner and being unable to respond to people’s real health needs, which are complex and can be addressed only by a range of healthcare channels. The NHP reckons four major contextual changes that perhaps motivated the overall policy approach: Increasing burden of non-communicable diseases (NCDs) and certain infectious diseases; robust growth of the healthcare industry; high incidence of catastrophic healthcare spending by households; and an enhanced growth-enabled fiscal capacity of India. The 71st National Sample Survey (NSS) January-June 2014 revealed that out of the total hospitalisation cases in rural areas, 58 per cent were in private clinics and 42 per cent were in public hospitals. The corresponding figures for urban areas were 68 per cent in private and 32 per cent in public. Of a total of 628,708 Government beds, only 196,182 are in rural areas. India is regarded as the world’s pharmacy bowl, but ironically, a huge proportion of its population sinks into the poverty pit every year due to highly expensive medicines, mostly for cancer, heart ailments and serious injuries that maim most of the victims. All these point to a need for more local community-owned and community-designed model of healthcare which also incorporates the experience of traditional health systems. In the third century BC, emperor Ashoka is believed to have said, “I am going to propagate medicinal herbs throughout my kingdom to ensure complete accessibility to all my subjects as it is my ethical responsibility to provide good health to all people.” The country has 750,000 medical practitioners of the traditional medical systems of Siddha, Unani, Ayurveda, and Homeopathy (AYUSH). They receive five and a half years of medical training, and about 70 percent are legally permitted to prescribe allopathic medicines. While most are based in rural areas (unlike their MBBS counterparts), there are few professional options for them and there has been no concerted effort to integrate AYUSH practitioners into the primary care level, which could fill the gap of doctors practicing in these areas. One of the obvious reasons is the strong resistance from the allopathic practitioners particularly bodies like Indian Medical Council which would not allow dilution of its standards. Several areas continue to be serviced by quacks and faith healers .Wisdom demands that we work out a an acceptable model of healthcare that combines the best features of all systems and is at the same time safe and affordable. India has been home to several internationally acclaimed home-grown models of community healthcare. 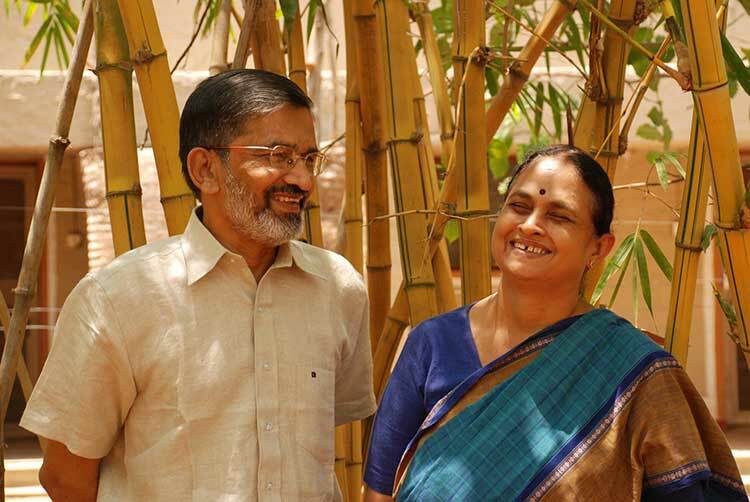 The earliest innovators were two doctor couples in Maharashtra: Abhay Bang and his wife, Rani in Gadchiroli and doctor Raj and Mabelle Arole in Jamkhed separated by a distance of 664 kms. The Bangs set up the charity SEARCH (Society for Education, Action and Research in Community Health) in 1985, whereas the Aroles founded the Comprehensive Rural Health Project, (CRHP) in 1970. CRHP is a comprehensive approach to primary health care at the community level, mobilising communities to use simple tools, adapted to the local context, to address priority health needs. In 1972, the World Health Organisation officially recognised CRHP’s pioneering work in villages, also known in the global health community as the Jamkhed model. The innovation of this approach lies in involving the communities themselves, especially those who are poor and marginalised, in designing their health and development programmes. Through their ‘Shodh Gram’ hospital, the Bangs operate their home-based new-born care model. This model does not depend upon doctors, nurses, hospitals or expensive equipment. It empowers women to use simple medical knowledge and skills to save their new-borns. Instead of villagers having to walk for miles to get to the nearest hospital, health visitors (called arogyadoots, which means ‘health messengers’ visit remote locations carrying a small health kit pack on their back. As more women are trained, they pass on their knowledge to others, and entire communities become empowered. The insistence that patients must be treated in ‘techno-centric’ hospitals by Western-trained physicians is to the minds of Bangs, ridiculous, particularly in rural India, where lack of transport and low income levels make modern healthcare inaccessible. 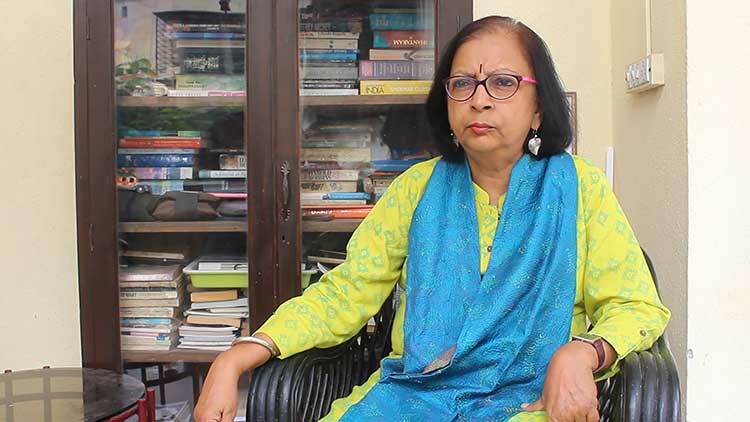 A relatively recent innovation is the Arogya Sakhi model promoted by Prema Gopalan in western Maharashtra who established the acclaimed non-profit Swayam Shikshan Prayog (SSP), which selects and trains women who are landless, but have basic education, are interested in healthcare and community service. These Arogya Sakhis are equipped with health devices, such as glucometers, blood pressure machines. Along with a mobile tablet, they visit rural women door-to-door to conduct basic medical tests. The sakhis charge a nominal fee of Rs 150 from each individual, which includes cost of generation of rep-ort, printing charges, doctor’s fee, conducting tests, and even delivering the reports at door steps. After accounting for all costs, a sakhi is usually able to earn Rs 50 to Rs 70 per beneficiary. “These women conduct a series of preventive tests using mobile health devices, capture the data by using a tablet and upload the results on the cloud server developed by our technology partner,” says Gopalan. The data is then shared with a doctor, who analyses it and provides a report and prescriptions over the cloud. The sakhis then guide the patients on the treatment and precautions to be taken. Wherever needed, they are referred to SSP’s partner specialist doctors and hospitals for further treatment. Since many villages have scarce medical facilities, the sakhis are also trained to provide medical help related to minor burns, cuts, joint pains and other ailments, for which they charge nominal fees. The movement has now reached deep pockets. There are now 150 Arogya Sakhis who have reached out to more than 500 villages. They present a unique human resource to be deployed to helping people with both physical and mental disorders. SSP was awarded the sixth Billionth South Asia Award 2015 in M-Health category for this technology enabled-project implemented in partnership with Sofomo Embed-ded Solutions Pvt ltd. Any visitor to villages, where these community healthcare models are primary drivers of health awareness, will marvel at the ability of these health workers to connect with and explain things to women. Their lack of education is not a handicap; it is an advantage. They understand how to reach the people who most need reaching: Illiterate, vulnerable and poor village women. They know how they think and live, because they are one of them. Co-designing co-creating, and co-owning health services is an increasingly effective and scalable path to inclusive health. Putting people and communities in charge of their own healthcare leads to better outcomes and increased productivity by leveraging traditional knowledge and local healing plant material. The government too has embraced the lessons from these grassroots initiatives and the public health programmes are modeled round them. The community health worker, including cadre such as the ASHA worker and the Auxiliary Nurse Midwife, are indeed the foundation of our public health care system. They have played a central role in the success of our public health programmes which substantially reduced maternal and child mortality. An ASHA (Accredited Social Health Activist) is a community worker who is appointed to assist pregnant women to avail themselves of their health entitlements. There is one ASHA for every 1,000 women. Her job is to spread awareness about antenatal care, ensure that women go to hospitals for deliveries, and receive proper care during childbirth and the postpartum period. Many ASHAs accompany women to a health facility for antenatal check-ups, delivery and postnatal check-ups. Baby Fakira Sidame is an ASHA worker, or frontline health worker in villages in the Yavatmal district of Maharashtra. Chosen by her village as their health representative, Baby mobilizes her community to bring their children for routine immunizations, and provides counselling to pregnant women and new mothers about breastfeeding, vaccinations, hand-washing, and other basic health needs. She also runs a day care centre for young children in the community, providing basic education and lunch. “Drastic changes have occurred. No one used to do family planning. Many children suffered from polio, many of whom died or were not able to walk. But over the last five years that I have been working, I have been able to reach out to these families through home visits, through meeting them and informing them about better health practices and vaccination. Now there are a lot of changes happening in these communities. People are adopting family planning and coming for vaccination and keeping good hygiene practices. We are trying to do our best and continue to improve our results. Immunization is very important. It is like holy water. It will save children from polio, diphtheria, pertussis, tetanus, and measles. If a child gets immunized, then my community becomes healthier. “And similarly, my country will also become healthy. When a hungry child gets fed at my centre, I take great pleasure in seeing that that child is full. Also when a child comes to my centre and gets a vaccination on time. Seeing those cheers on the faces of the children brings me great happiness. That’s what motivates me,” says Baby. A highly laudable vision. At present about 24% of the total spend on CSR is focused on healthcare. However, much of the spending tends to be focused on health camps and building hospitals or donating to hospitals for upkeep of facilities. 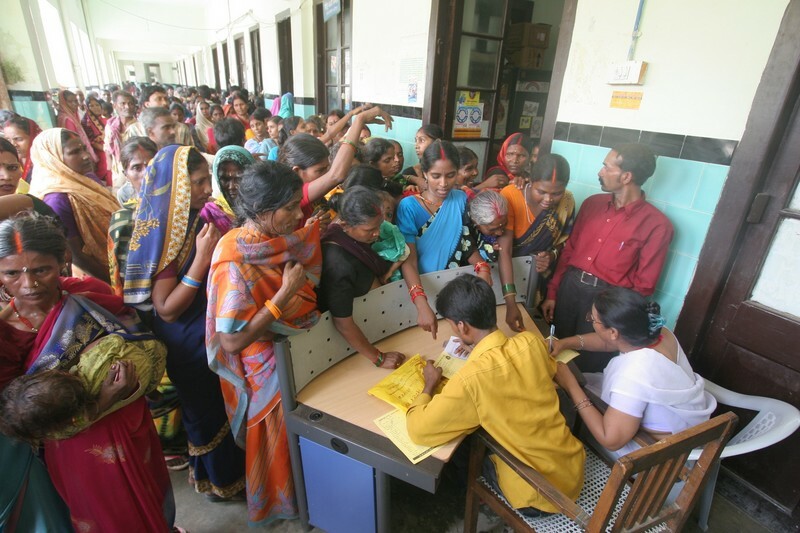 Health camps tend to have a short-term orientation and are number driven. Setting up and running hospitals are often poorly targeted. There is a need to focus on primary care rather than tertiary care. The local youth could be trained to advice residents on simple treatments. Community health works, supported under CSR, could help with basic diagnostics like blood pressure, pulse, and sugar testing. India is now a far better placed to make inclusive health a reality. An enormous social capital has been built up over the years. It can be leveraged to support innovations in healthcare for development of new and affordable drugs, therapies or medical devices. Public policy needs to actively promote those innovations that can accelerate our journey to universal healthcare: Increased access, quality and affordability of health care; increased responsiveness of the system to healthcare needs; greater health equity; autonomy in healthcare choices; and above all, improvements in the social determinants of healthcare.